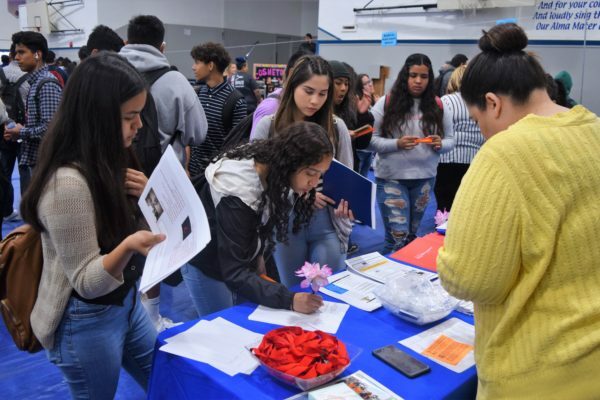 Baldwin Park High School students who are undecided on what path to take after graduation received information and advice from dozens of college recruiters and potential employers during the school’s annual College and Career Fair on March 28. 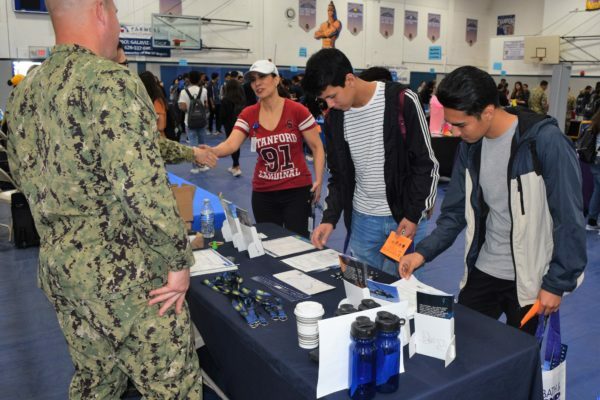 Baldwin Park High School held its annual College and Career Fair on March 28, giving students an opportunity to gain information and advice from college recruiters, potential employers and the armed forces. Students who are undecided on what path to take after graduation were able to explore a variety of fields, including construction, landscaping, healthcare and banking. Baldwin Park Unified’s Board of Education adopted a pair of resolutions to show support for arts and music education. 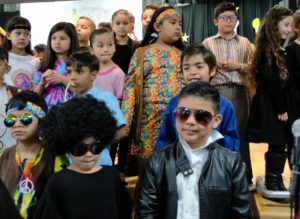 The District designated March as Music in our Schools Month and Arts Education in California Month, encouraging all students, parents, educators and community members to celebrate and participate in visual and performing arts programs. Baldwin Park Unified traces its roots to a small schoolhouse first erected in 1884, a small building that contained two rows of double seats. The district, renamed for Baldwin Park in 1914, served elementary students until the early 1950s, when unification of districts led to the creation of the Baldwin Park Unified School District. Today, there are 13 elementary schools, three junior high schools, one middle school, two comprehensive high schools, one continuation high school, an adult school and an early childhood education program. Seven students from Baldwin Park Unified’s Central Elementary School will advance to the History Day California competition, Friday, May 10 to Sunday, May 12, after they earned top scores at History Day L.A. Sebastian Camacho earned a finalist ribbon for his individual poster on “Discovering King Tut’s Tomb.” Two teams won in the group poster category: Jazleen Guasgua and Amy Hernandez for “Little Rock Nine” and Bryceden Liu, Ellie Perez Monge and Michelle Mora for a project on NASA. Allan Galaviz secured a spot for a D-Day website. Baldwin Park High School theater students will venture into the macabre side of life and stage a darker kind of musical comedy with “The Addams Family” at the Baldwin Park Performing Arts Center, 4640 Maine Ave., Baldwin Park. The show will be staged at 7 p.m. Friday, March 22 and at 2 and 7 p.m. Saturday, March 23. 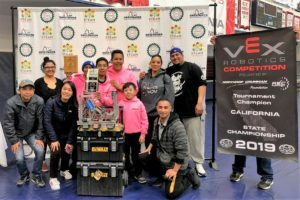 Holland eighth-grader Lorenzo Gomez had a flash of panic at the VEX State Championship when he realized his USB drive with programming for the team robot was left in the classroom. Gomez, lead programmer for the Bulldog’s robotics team, pored over his laptop to identify and input correct coding instructions prior to the day’s series of competitions. The underdog team pulled off a surprise win, qualifying for the upcoming VEX World Championship in Kentucky. Photos and video available. North Park Continuation High School junior Jasmeen Sanchez is the new student board member for the remainder of the 2018-19 academic year. A member of North Park’s Associated Student Body and leadership team, Sanchez will present her first report on Tuesday, April 23 at Baldwin Park Unified’s Board of Education meeting. Photos are available. Kenmore Elementary and Santa Fe Fundamental School were recognized for strong results in English language arts and mathematics proficiency for low-income African American and Latino students in 2017-18, earning the Los Angeles County Top Schools Award. Kenmore and Santa Fe are two of 279 schools selected for the first annual report Top Los Angeles Public Schools for Underdeserved Students. Photos are available. More than 15 Tracy Elementary students in Early Childhood Education (ECE) sang along with Dr. Deborah Bergeron, director of the federal Office of Head Start, as she strummed an acoustic guitar during a visit on Feb. 27. Bergeron toured ECE classes, including one in the Dual Language program. After leading students in a song about Head Start, Bergeron taught students to pluck notes on the guitar. This is Bergeron’s first official visit to Los Angeles since her appointment in 2018. 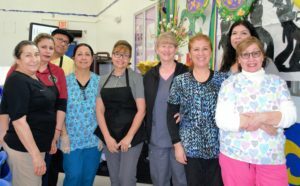 Baldwin Park High School’s food and nutrition services recently earned the 2019 Champions of Breakfast Award for implementing innovative serving models and increasing the number of students who eat breakfast on a daily basis by 25 percent. The Champions of Breakfast Awards recognize schools and districts across the country that operate exemplary School Breakfast Programs (SBP). 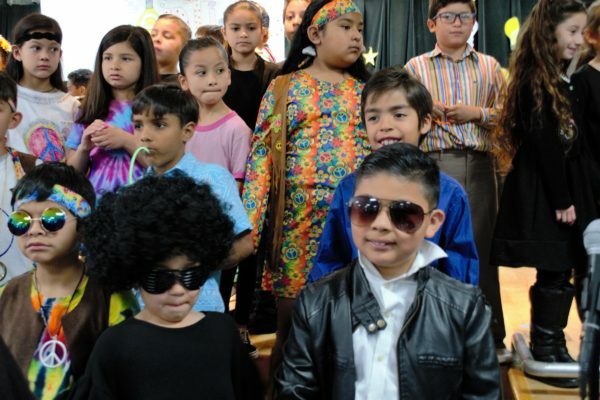 Baldwin Park Unified students, families, educators, administrators and community members attended the inaugural District Showcase on March 2, learning about how the District prepares students for 21st century careers and highlighting opportunities available to students. The District’s 20 schools, Early Childhood Education and Adult and Community Education displayed their school pride and programs at interactive booths. Sierra Vista senior Diana Aguilar Cruz and freshmen Maryhelen Ortega argued the meaning of freedom of the press during the annual Lions Club Student Speaker Contest on Feb. 25. 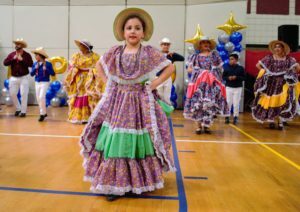 Cruz won first place, earning a $100 scholarship and the opportunity to progress to the next regional area contest – to be held at 9 a.m. Saturday, March 9 at the Salvation Army, 970 E. Walnut St., Pasadena.